Well! 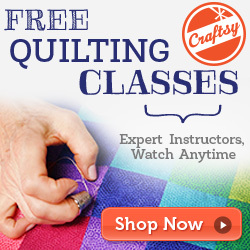 What a fun month it has been – so many great projects, tips, tutorials and great paper piecing ideas shared! A big thank you to all the blog hoppers involved, and a further thank you to those who followed along and commented. Missed out on these wonderful projects? You can find the full list of blog hoppers here. So now it’s your turn! Share a paper pieced project that you have made. - It can be from anytime this year – but must be a completed project. 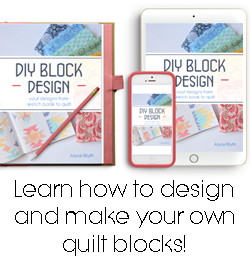 After all the blog hop is all about inspiration on how to use our blocks! - You can enter a maximum of two projects – either link from your blog or from Flickr. Blog hoppers and followers alike are welcome to join in. - The linky party will be open til the 4th September Aussie time. Then I will use random.org to pick some winners of fab gift certificates! There are 6 prizes to be won! Woohoo! And don’t worry blog hoppers – as an extra thank you for joining in my hare-brained idea (some with only rather short notice! ), I will be randomly picking two blog hoppers for the 2 remaining $20 gift vouchers from Pink Chalk Fabric. A big thank you all of these wonderful sponsors (plus Wrapped in Fabric and Carol Doak.) If you get a moment, pop over and check out their stores. You won’t be sorry! So let the linky party commence! Hi Kristy Thanks for hosting this blog hop - its my first hop and I thoroughly enjoyed myself and thanks to the sponsors for all their donations of goodies too! I cant wait to be part of another! I have learnt so many things on this hop ! So thank you to everyone and their beautiful projects! Great hop Kristy. Well done you! Now this is certainly incentive for me to pull my finger out and finish those house blocks. Two down, two to go! Congratulations on a successful Blog Hop with so many inspiring projects. You have certainly done your bit for any fledgling paper-piecing addicts (sorry fanatics!) out there. Thanks for organising everything you deserve a round of applause. Thanks for being such a great hop-host Kristy. It has been heaps of fun - great to see so many clever projects being shared. Thank you for the PP blog hop....so many inspirational pieces for a PP newbie.